Nashville on Monday became the first city in the South to recognize LGBT-owned businesses. Nashville Mayor David Briley signed an executive order including LGBT Business Enterprises certified by the National LGBT Chamber of Commerce in contracting and procurement opportunities throughout the city. The new policy will give NGLCC-certified businesses in Nashville the same access to contracts and economic development opportunities as businesses owned by women and ethnic minorities. “Thanks to the leadership of Mayor Briley and of our local affiliate chamber, the Nashville LGBT Chamber of Commerce, LGBT entrepreneurs in the Nashville region will now have the opportunity to create jobs and develop innovations that benefit all who live there,” NGLCC Co-Founder and President Justin Nelson wrote in a press release. 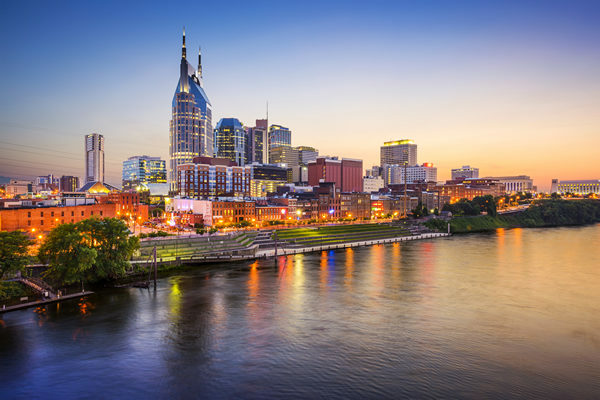 “We hope this executive order in Nashville will encourage more mayors to proactively include the LGBT community for the optimum social and economic health of their cities,” NGLCC Co-Founder and CEO Chance Mitchell added. Nashville is the first new city in 2019 to recognize LGBT-owned businesses. 2018 saw Baltimore and Jersey City and Hoboken, N.J., added to the list of cities that track and include NGLCC-certified businesses. NGLCC says certified LGBT-owned businesses add $1.7 trillion to the U.S. economy each year. “We are excited to see LGBTBEs (NGLCC-certified businesses) in every field, from construction to catering and everything in between, help grow the economy of Nashville and beyond,” Nelson wrote.